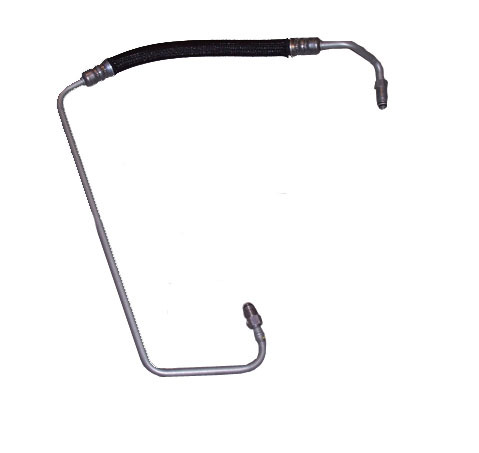 This is the redesigned Mopar Power Steering Hose that goes from the Power Steering Pump to the Hydraulic Fan. Fits the 2001-2004 WJ Grand Cherokee models with the 4.7L V8 engine. Please watch the video below for a customer removal of the old hose and installation of the new redesigned hose. The hose arrived quickly and exactly as described! A high quality product that performs as expected. Pros Easy transaction with a quality product! I tried two different brand parts but the bends were slightly wrong. Luckily, I found this MOPAR part here. Unfortunately, it's a discontinued part, so they are or will be hard to find. This hose fit perfectly (of course). Item arrived quick and it was well packaged. Great experience overall. fluid went everywhere. Called customer service for JUST FOR JEEPS. Spoke to Chris informed him of my problem, shipped new hose fedex 2nd day service. Received new hose with new connector worked perfectly. THANK YOU, FOR YOUR GREAT SERVICE AND PARTS. ProsGREAT PARTS AND SERVICE AT A GOOD PRICE. Connect the upper end, Install the fitting on the vehicle for the lower end and then insert the tube. Would have save me a half hour verses fighting for it to align. Fits perfect once it is in, the fitting come seperated for a reason. ConsOnce fitting is installed no going back.